I am skipping ahead to the first part of Tasting 4: Chinese Black Teas of the Harney & Sons SoHo tea tasting. I received my order of Keemun Mao Feng this afternoon! And as I remembered from the tasting, it smelled and tasted of rich, dark chocolate. There is astringency in later infusions but not enough that one would think of adding milk, though this early season tea from Anhui Province would not be spoiled with milk. We have read that Keemun Mao Feng has fruit flavors. 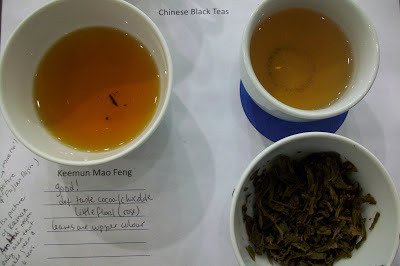 While we detected a slight floral flavor in the serving at the tea tasting, we did not taste flowers in the cup(s) steeped at home. We'll see what emerges from future cups of this tea. 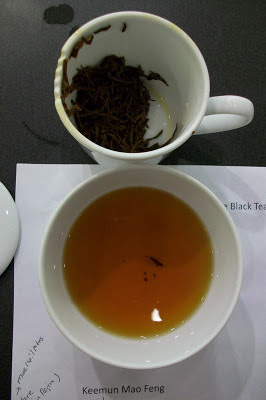 Attendees at the Harney & Sons event also tasted a 1990s Yunnan Puerh. 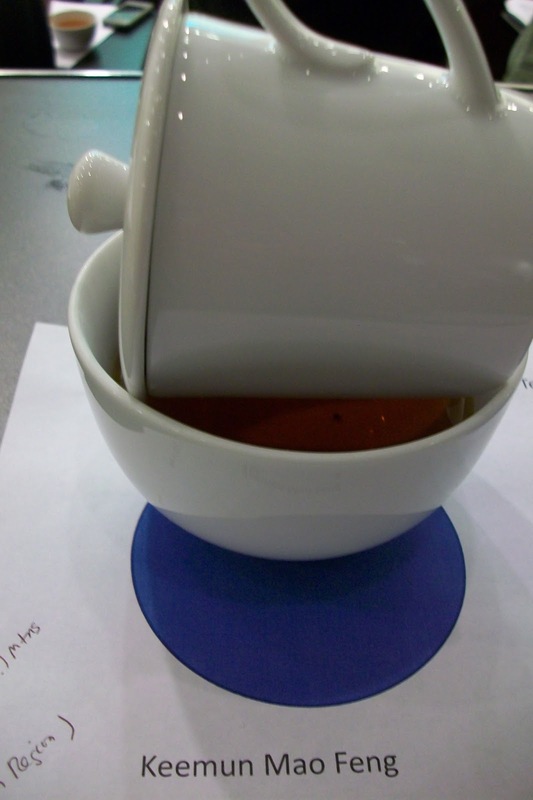 This bing cha (round tea cake) puerh had a leather and tobacco nose; bitter at the start with floral notes at the end of the cup.